Have you ever had the experience of idolizing a person or a company and then getting to meet or work with them? We're having that moment right now. We've been fans of Instructables for a very long time. It's the first place we go for inspiration, what's trending in the world of DIY, and most importantly, where we learn how to make stuff. If you have read any of KitHub's newsletters, you probably clicked on an Instructables link. It is our great pleasure to announce that we have joined up with Instructables to provide prizes for their first ever Teachers Contest. We feel so fortunate to have this opportunity to support a platform that we whole-heartedly endorse, and to support the community of teachers that we strive to support every day. We are ecstatic that Instructables is reaching out to teachers and recognizing that they are a community that learns and shares together and passes that knowledge on to the kids that they work with. Instructables really is a perfect platform for educators to showcase their projects and share openly with others. Whether you are new to Instructables, or an expert, all educators are welcome to enter. It's going to be really exciting to watch the contest entries roll in on the Instructables site. We hope that you are as excited as we are and plan to enter! 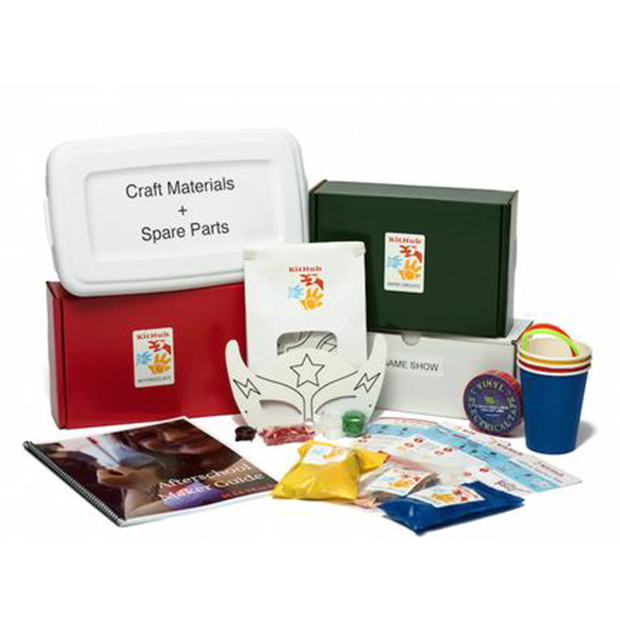 There are 20 prizes in total including the grand prize of the Afterschool Maker Program kit. Head over to the Teachers Contest page to see the full list of prizes. In order to enter the Teachers Contest, you must create a new Instructable that fits the guidelines outlined in the contest description. To be eligible, Instructables must be published between Sep 11, 2017 and Nov 6, 2017 (11:59pm PT). Read the full contest rules and instructions on how to create and Instructable on the Instructables Teachers Contest page.